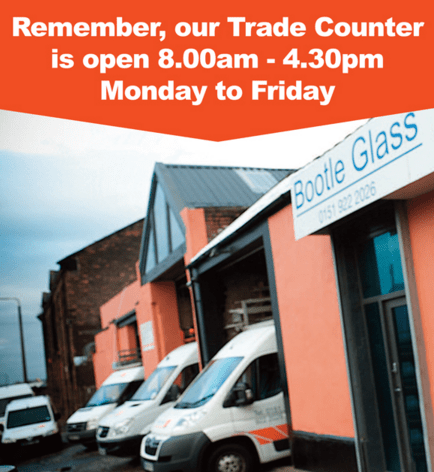 Don’t forget our Trade Counter is open! We welcome both trade and domestic customers and are able to offer free advice about all of our products and no obligation quotations. For supply-only or supply and install, call in from Monday to Friday -8.00am-4.30pm to: 45-51 Bankhall Street, Liverpool L20 8JD.